Solar energy is a fantastic way for cities and towns to lock in reliable costs of electricity for decades while reducing your their impact on the climate. A solar power purchase agreement (PPA) allows municipalities, who cannot take advantage of federal tax programs, to enjoy the same benefits of clean solar power afforded to businesses and homeowners. A solar PPA is an innovative financial structure which eliminates the #1 barrier to a nonprofit going solar – access to upfront capital. No upfront capital investment in required in a solar PPA. Instead, we pair an interested nonprofit or school with a private solar investor, who can take advantage of federal tax programs not available to the nonprofit. The investor (which may be a 3rd-party investor, or ReVision Energy itself) then offers to purchase and build a solar array at the nonprofit’s location, and then sells the solar power generated from that array to the nonprofit at electric rates defined in the offer letter. Exact pricing of the PPA offer will vary based on market, size of array, and other technical variables, but in general the solar PPA will present the school or nonprofit with a very competitive rate for electricity, and the lowest 40-year cost of electricity from any source. The solar array’s generation is tied into the nonprofit’s electric meters, meaning that the nonprofit’s consumption from the electric grid is reduced proportionally by the generation of the solar array. All of ReVision’s solar PPA offers include a path to ownership after 7 years, allowing the nonprofit entity to ultimately own the solar generating assets and save a much greater amount of money in the long-term. Nonprofits may also opt to continue making payments on the solar array for 20 years and purchase in year 21. Solar electric array installed for the City of Belfast, Maine on a retired landfill as part of a solar PPA project, financed by ReVision Energy. The first step in exploring a PPA is to contact ReVision Energy and start a process of site evaluation. Usually we start with a general conversation that goes in more detail about what a PPA is and how it works, and request energy data usage at your site. Once we receive this information, ReVision’s engineers will evaluate your site for solar opportunities, and then our finance team will develop the potential solar sites into an offer that can be presented to your organization. Upon acceptance of a solar PPA, the approved solar project is installed by our team of highly trained solar professionals. We provide complete ‘turnkey’ service ranging from project management, permitting/interconnection, construction, and service and support for the life of the system. During the first six years of the system’s operation, your organization would be billed for generation of the solar facility. After six years, your organization has the opportunity to purchase the system outright for a much reduced capital cost vs. the initial construction price, and then enjoy 25+ years of clean energy. Alternatively, your organization can continue to purchase the electricity from the solar PPA project up through year 20, and purchase in year 21. 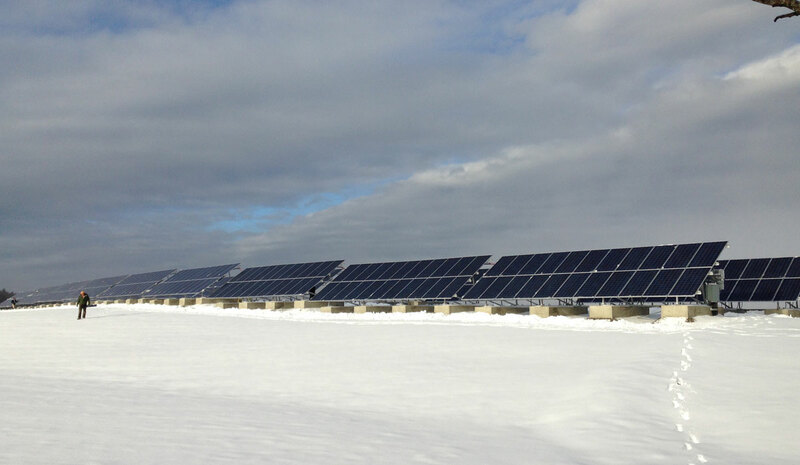 New England’s solar resource is strong, thanks to bright, cold winters and long summer days. Annually, a solar array in Maine or New Hampshire will produce a comparable amount of power to the same system installed in Austin, Texas. And since electricity is relatively expensive in the Northeast, the value of the New England system is higher than that of the system in Texas. Solar power is also the clear environmental winner, with no moving parts, extremely long-lived equipment,and no emissions in the generation of electricity. Further, a solar PPA is a powerful statement to your community that solar energy is a viable solution for New England. Rather than purchasing carbon credits or other forms of offsetting fossil fuel impact, a solar investment is incredibly tangible and a recurring statement of your organization’s commitment to a clean energy future. ReVision has a robust marketing team and as part of a PPA roll-out we can develop awareness materials for the solar array such as lobby kiosks, online real-time performance monitors, posters, or flyers. We also frequently collaborate with our PPA hosts for solar tours, open houses, and other events. Am I Right for a PPA? 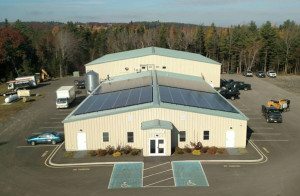 We are a full service design, engineering, and installation company with an unmatched depth of experience in Northern New England. Our company has been ranked #25 in the country in rooftop solar installers and our work has been featured in industry magazines such as Solar Pro. With over 4,500 successful installations across the region, we have refined our design and installation practices such that our renewable energy systems are as dependable (or moreso) than the conventional systems they replace. We install and service mature technologies that are ready to suffer through 35+ years of harsh New England winters. We streamline system installation, and eliminate the confusion and difficulty of working with multiple subcontractors, by using our own highly trained team of professional solar technicians on every project. In addition to NABCEP certification (the industry’s highest level of traning and accreditation), our technicians carry state solar installer certification. 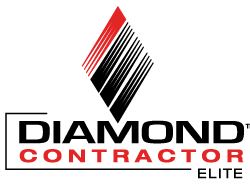 ReVision Energy’s project supervisors also hold master electrician and master plumber licenses to ensure that every completed system is code-compliant and qualifies for government financial incentives. 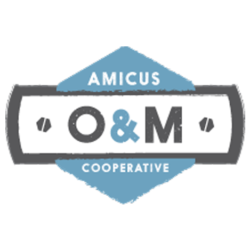 Due to the volume of solar we install, and thanks to relationships such as our part in the Amicus solar cooperative, we have long-term purchasing relationships with manufacturers of high quality system components. This enables us to source the very best components at a significant discount and pass the savings on to you, keeping our prices competitive without compromising in component selection. ReVision Energy backs every system with a promise to deliver exceptional customer service. Our technicians perform regularly scheduled preventative maintenance to ensure your system is operating at peak performance over the long haul. In addition, should you need assistance any time, day or night, our technicians are on call for you.